HDFC rates for gold coins are displayed in Indian rupees and flucuate daily based on market conditions. The gold rates displayed are constantly changing to reflect current market prices. The rates include sales tax as applicable in Mumbai. Gold prices are displayed Monday through Saturday in the following Gram denominations. 2.5 g Heart shape Gold, 5g Durga, 5g Mudra, 5g Ganesha, 5g Laxmi, 10g Mudra, 20g Mudra, 50g Mudra, and 100g Mudra. You can access current the HDFC Gold Coin Rate through this link. HDFC currently offers 24 carat, 99.99% pure gold bars for sale. As of this writing these gold bars are imported from Switzerland with an assay certification indicating that they are of the highest gold purity. The Mudra Gold bars being offered or available in the2.5g, 5g, 8g, 10g, 20g and 50g denominations. 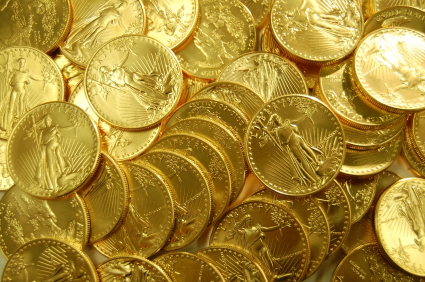 The bars are priced based on the current prices on the international gold bullion market. Included in the price is the customs duty and other retail charges. You can purchase Mudra gold bars in approximately 700 cities at over 1600 bank branches. Anonymous donors have been dropping gold coins into Salvation Army donation buckets since the 1980’s. However donations like this are well received with the down economy creating a greater need for charitible donations.